Blog Updates from ISA - Meet the Summer Batch! Updates from ISA – Meet the Summer Batch! It’s been a big week for the Iowa Startup Accelerator! Recently, we announced the three teams that we accepted into the summer batch of our 2017 cohort, and we started a How to Start a Startup program to help new entrepreneurs learn about the basics of entrepreneurship. We’re very excited to have Agro Connected, Cargofy, and GOVRED Technologies join ISA’s portfolio. All three of these startups work in industries that we’re well equipped to accelerate, specifically transportation, agriculture, and virtual reality. 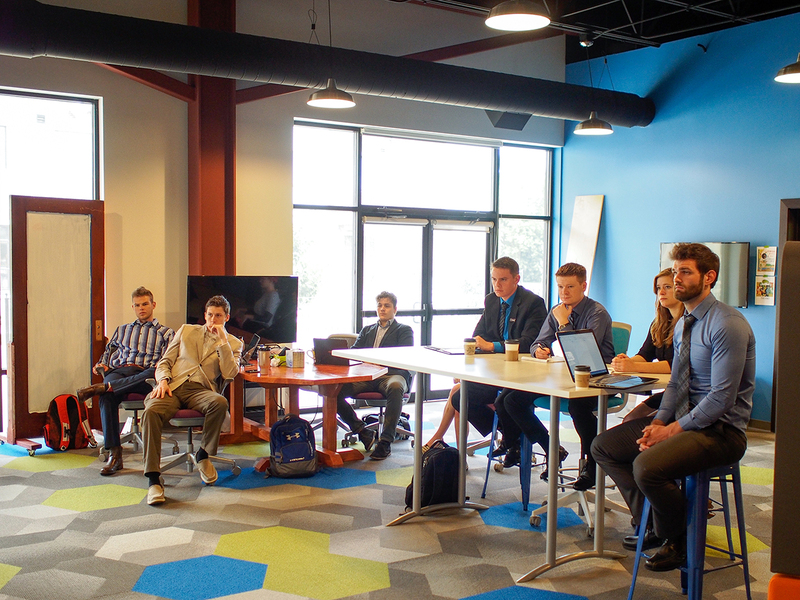 We’ve built Iowa’s largest and most diverse mentor network and dedicated new prototyping lab space in our coworking space to help startups in industries that Cedar Rapids excels in. With these resources, our hands-on programming, and their hustle, the summer batch is well prepared to make their mark on our ecosystem. Last week, Agro Connected, Cargofy, and GOVRED Technologies participated in ISA’s orientation week programming. Orientation week was a holistic introduction to what it takes to be a successful startup, but it’s not where our programming ends for the summer batch. Going forward, they’ll have weekly workshops and speakers, mostly on Tuesdays and Fridays, targeted to their business’s needs. On Tuesday, ISA Managing Director, David Tominsky, led a workshop on how to capture customer data during customer discovery interviews. For the first month or so in our program, ISA startups focus heavily on customer discovery to make sure they’re building a product that solves a real problem for real people. The next few Tuesday workshops will continue to focus on building customer discovery skills, and following that we’ll move on to the Design Sprint and marketing strategies. Each Friday, the summer batch runs their scrum ceremonies. We start off the morning with group sprint reviews. These are very open discussions about what work each team accomplished during the week, what got in their way, and what they learned. We invite mentors who have expertise in areas the teams are working on to join us for these discussions. Following sprint reviews, teams will do their own retros and plan their sprints for the next week. Before we head off to Whiskey Friday, our community’s weekly celebration, we have a successful startup founder join us for a Founder Fireside. This week, Ben O’Connor from Higher Learning Technologies (HLT) joined us to share his story — rough patches and all. Founder Firesides are where founders share the parts of their startup journey they wouldn’t share with the general public. The founders we bring in have truly seen it all, and they offer candid advice for our startups as they start on their own journey. This week, we kicked off a 10-week program that will serve as Version 1 of a Cedar Rapid’s based incubator for new ideas. The core of this program will be the How to Start a Startup video series, facilitated by David Tominsky, local mentors, and investors. This video series was created at Stanford University in collaboration with Y Combinator. When Y Combinator expands their Startup School to 10,000 people worldwide in January, this will be the core curriculum used. Our hope is that there is enough interest that we can promote Y Combinator’s Startup School and encourage a significant number of entrepreneurs to apply to join the program in January 2018 to form a Cedar Rapids cohort to work together. 11 people with big ideas joined us for the first session this past Thursday, and we look forward to seeing them and many others back next week to continue the learning. If you or someone you know wants to learn more about how to start your startup and connect with other entrepreneurs, join us every Thursday from 6:00–9:00 PM in the Geonetric Building. Molly Monk is the Program Manager for the Iowa Startup Accelerator, NewBoCo’s flagship program.